Tryout is for 12U athletes interested in participating USA ALL AMERICAN GAMES that will take place June 7 – 10, 2018 in Oklahoma City at the Hall of Fame Stadium. Try out is recommended for 11 – 12 year olds who have played at a high travel ball level. 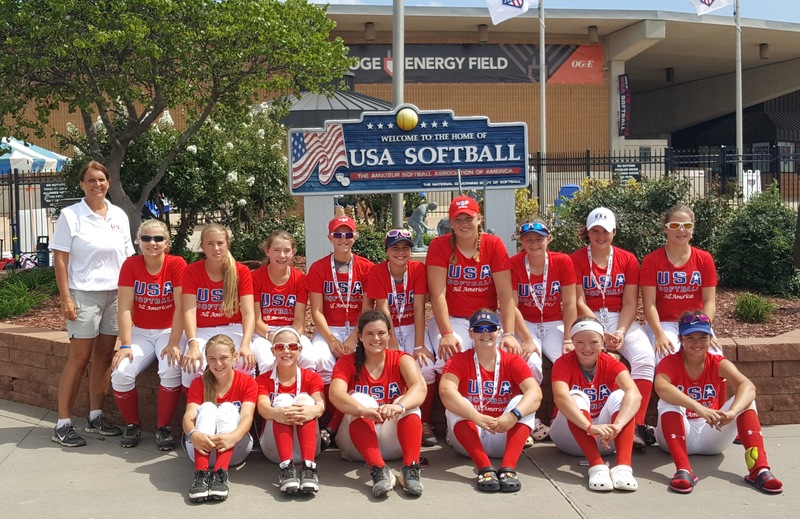 The USA Softball All-American Games is a prestigious tournament hosted at the USA Softball Hall of Fame Stadium in Oklahoma City. This event will provide National exposure to elite athletes in the 12u age division and has been designed to identify and highlight the best athletes from across the country. There will be 24 teams with only 360 girls nationwide selected to represent their geographical area. Ohio/West Virginia will field one team of 15 players. The selection process for Ohio and WV consists of two levels. Any athlete wanting to be considered can participate in a first round clinic/tryout. After the first round of tryouts the best athletes will get invited to a final tryout that will take place in on, Sunday, April 14th with a location to be determined soon. From that event 15 athletes and 3 alternates will be selected to the team that will represent Region 2 in the All American Games that takes place June 7 – 10th. 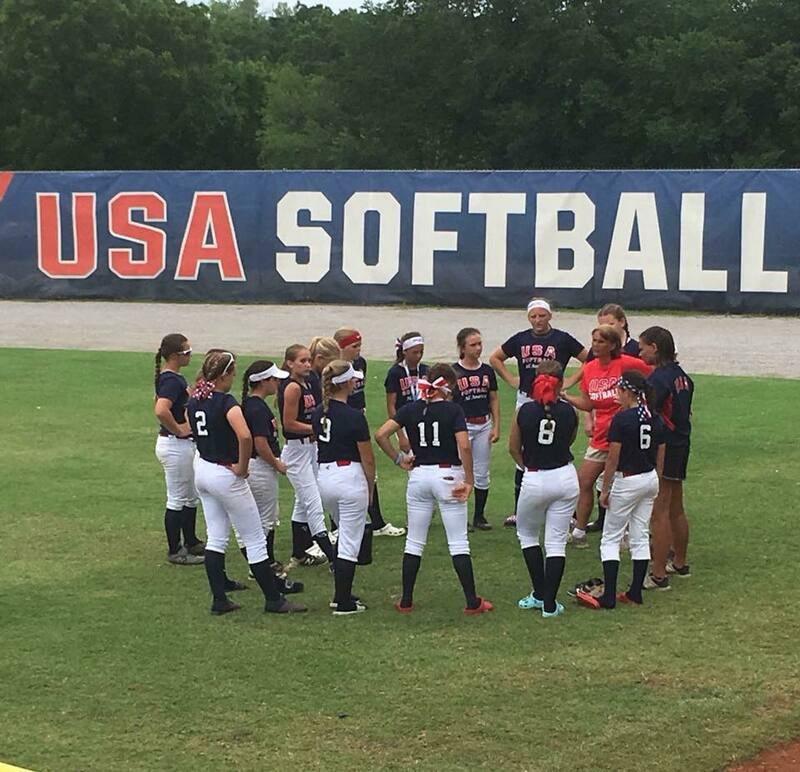 There is a one - time tryout fee of $25 that includes receiving a USA softball t-shirt. Tryouts are combined with clinics that will be conducted by Aspire Higher Softball with college coaches, players, and or college alumni providing instruction. If you choose to attend more than one date, you will only have to pay for the subsequent clinic. Other tryout dates and clinics may be added. Athletes may sign up to participate in the clinics without trying out for the All American Games. Pitchers must bring a person to catch. Location and time will be determined soon. THE 2018 REGION 2 OHIO WEST VIRGINIA TEAM FINISHED AS NATIONAL RUNNER’S UP. 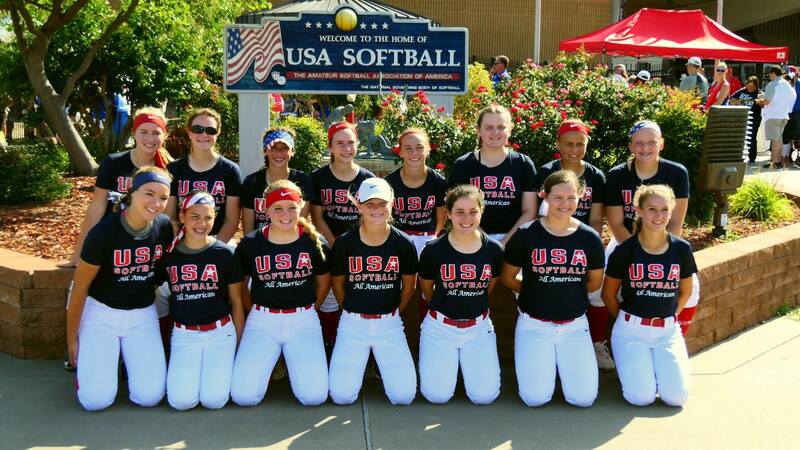 Athlete must be registered with USA Softball either through her team or as an individual. If selected, there is a participation fee of approximately $800 that helps cover team expenses including bus transportation for the athlete and two additional people to OKC. Athletes are expected to ride the bus. The athlete is responsible for all other travel expenses. If parents choose not to ride the bus with the athletes, they may sell their seat to other individuals. The bus will leave for OKC on June 6th and return after the last game played in OKC on June 10th and arrive home on June 11th. There will be approximately 3 or 4 practices scheduled. Thursday, June 6th there will be a practice in Columbus at Berliner Park prior to departing for OKC. The only weekend athletes will have to miss their travel season is June 7th to 9th. For questions contact Coach Linder at 330-221-5197. ENDORSEMENTS FROM PARENTS OF ATHLETES WHO WERE ON THE 2018 TEAM. By far the best softball experience for us as parents and for Brooklyn to date!! Would do again in a heartbeat. Thanks Karen Linder and your coaching staff for such a great time. Our family had a wonderful, once in a lifetime experience! Thank you and coach Sheilah for sharing your knowledge and for giving them a heck of a preview of how it is done at the highest level of softball! Thanks Coach! You were such a positive influence and had a huge impact on all of the girls. Thank you for sharing your wisdom and experience with our girls. Once in a lifetime is an understatement. They are better players and people because of the time they spent with you Coach Gulas and Nikki. What a great time! Super talented young ladies. Parents are great too! This experience is unbelievable. Do your young athlete a favor and give her an opportunity to compete to be on this team. She will never forget it. A great experience with exposure to great coaching and people. I would do it again without hesitation. It is more than just softball. It was one of the best experiences we had had something we will cherish for life. I encourage everyone to do this. Highly recommend this elite event for your athlete! It is an opportunity you do not want to miss out on. One of the best experiences my daughter has had! Not just the games, but the overall experience was amazing! The coaches are top notch and made this an experience our daughters will cherish for years to come! 11-12U families put this event on your “Must Do” list. The whole experience from tryouts to practice, bus trip and the event itself were incredible. You will NOT be disappointed. Emma had the time of her life meeting new friends and playing the game she loves at the highest level. The USA softball All-American Games are one of, if not the best opportunity for a 12 year old ball player to experience. If you want your daughter to play with top notch talent against the best competition in the country, for exceptional professional coaches, in an incredible venue, then this is it! Karen Linder and Sheilah Gulas do an incredible job with the the girls. Cam had once in a lifetime experience and great time. Thank you so much for taking the time to share your wisdom and knowledge with her. You made a huge impact upon her. I would recommend this to anybody. This was an amazing experience! 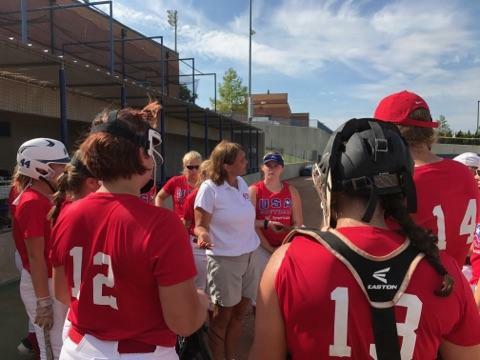 Coach Karen Linder and Sheilah Gulas run an awesome program and the All-American games are a once in a lifetime experience for your daughter. Lydia would do it again in a heartbeat!